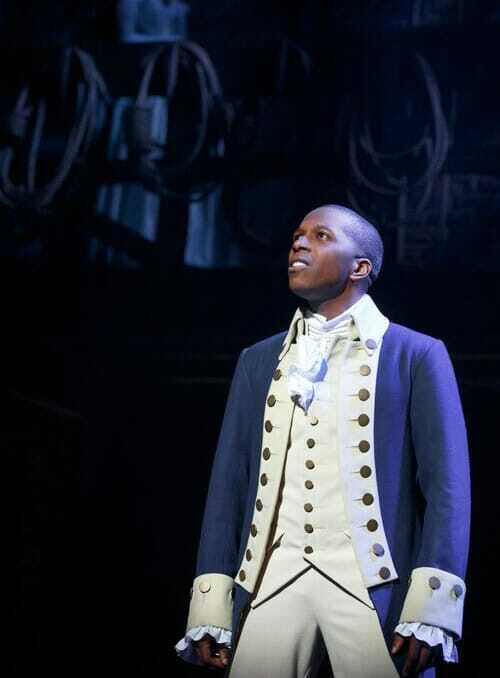 Hamilton is based on the life and history of Alexander Hamilton, the youngest Founding Father. The twist is that the music is all hip-hop and R&B style, and the cast is as diverse as our country is now. Lin Manuel Miranda (Tony Award winner for In The Heights) started writing the show after reading a biography of Hamilton while on vacation, not your typical poolside read. And seriously, the man is a pure genius. Miranda wrote the book, lyrics, and music for the entire show and is starring as Hamilton, so he is a quadruple threat in this show. He portrays the surprisingly dramatic development of our country and the personal life of the face of the $10 bill. The lyrics and rhymes of the show are incredible, and at so many moments you get blown away by the skill Miranda has at writing raps and music. The show also has so many connections throughout and foreshadowing, you will need to listen to it multiple times to get all of them. 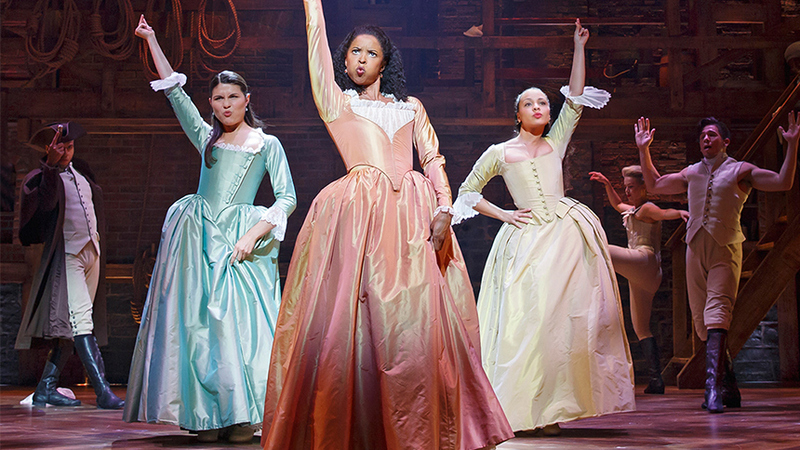 My favorite character is easily Angelica Schuyler (middle) and her song ‘Satisfied’ is definitely one of my favorites from the show. In the show, she falls in love with Hamilton but she knows she cannot pursue, so she introduces him to her sister Eliza (left). It’s an interesting love triangle story among the political drama, and she is just an interesting character that I found relatable. Other key characters are Aaron Burr (below), Thomas Jefferson (above), Lafayette, George Washington, and Maria Reynolds. And without spoiling too much, the personal life outside of the politics gets pretty steamy and serious. The entire show is sung all the way through, so you really only need to listen to the cast album to get the story. However, if you get an opportunity to see the production live, you should take the opportunity because I sure as hell would. And I sincerely hope that it wins some Tony’s, otherwise I will never be satisfied. I want to see this show so bad! 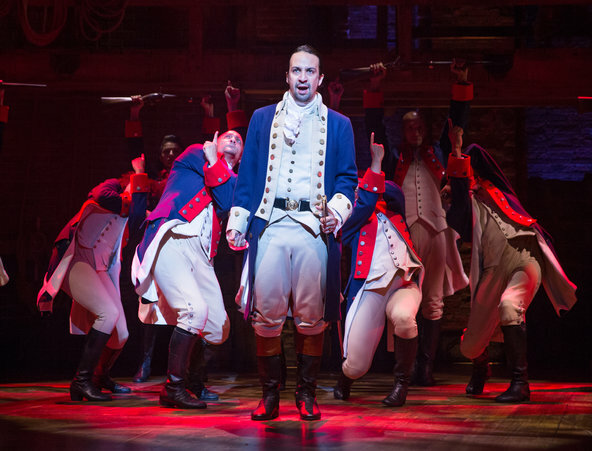 Hamilton is the first musical to be making popular music charts since hair in 1969. The last before that was Hello Dolly sung by Louis Armstrong. It’s really nice to see musicals catching up with the time. I mean I LOVE modern musical theatre and don’t want it to loose it’s style, but it’d be nice to see more hitting top charts. Yes do it! It’s so good! I hadn’t heard about this before now. Sounds like something my husband and I would both love.